Having a strong presence throughout Peterborough and the surrounding Cambridge area, our team of bailiffs are knowledgeable and experienced, and our high level of satisfaction has been built from consistently meeting the varying needs of our clients. Drawing on our extensive knowledge of the industry, various bailiff services are delivered throughout Peterborough and we’re continually ensuring our services are provided to meet your specific requirements. Having the ability to confidently deliver services that completely meet expectations and provide results, our Peterborough office is just moments from the A15, giving us fantastic access to deliver our bailiff services to the entire Peterborough area. Owning land in Peterborough, regardless of how big or small it may be, can present a number of challenges - and the last thing you want is for trespassers to be calling it home. But should this happen, the knowledge and experience of the Peterborough Quality Bailiffs team mean we have the skills to confidently resolve any issues with trespassers, ultimately removing them from your land and placing it back into your possession. A difficult hurdle to overcome for any landowner, the size of the traveller group on your land is irrelevant - the damage they can cause can be particularly costly to rectify. A regular problem in and around the Peterborough area, our Quality Bailiffs team can help you execute your common law right to evict the travellers and take back possession of your land. Driving forward the full process, we take care of all of the necessary notices, officially serve them and explain everything they need to know in person, where possible. Should an eviction not happen when prompted and a physical move is needed, we work closely with the Cambridgeshire police force and have their support when removing from your land any unwanted and uninvited residents. What’s more, understanding that trespassing can happen more than once, after we have returned your land to you, we have the knowledge to work with you closely to reduce the risk of any such incidents from happening again. Located within a short distance to a number of large towns and cities, protests in and around Peterborough are not uncommon. The city may not see the frequency or size of protests as in some of the larger cities, but particularly for the larger protests, their presence can be intimidating. If any protest results in individuals or squatters deciding not to move on, our team can provide a personal service to promptly evict them from your land. Ensuring our Specialist Enforcement Response Team are fully trained in the process of eviction, their training extends right through to non-emergency first aid and conflict management. With writs of possession issued against the relevant parties, the land and any property on it are swiftly returned to you as the owner. It can often be thought that trespassing is something restricted to humans, but the reality is it can be just as big of an issue when it’s an unwanted animal. With trespassing in this sense often talked about in relation to horses, the Control of Horses Act 2015 gives land owners the ability to detain and remove any fly-grazing horses from their land. 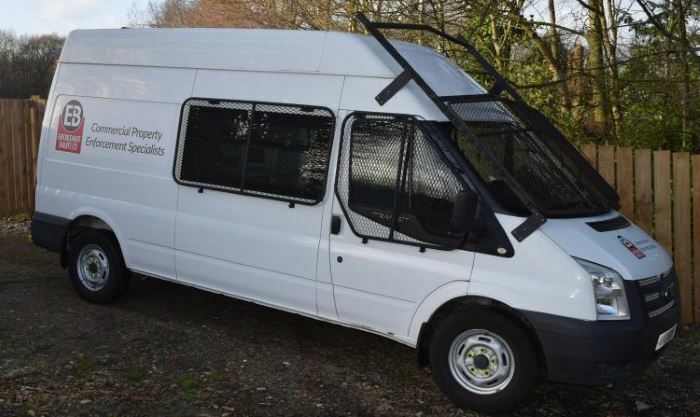 Able to be delivered by bailiffs on behalf of you as the land owner, we always strive for a fast and efficient solution, with one of our local Peterborough enforcement agents serving the appropriate 96 hour notice as a starting point. Holding the horses on site throughout the entire process, a risk assessment is completed to confirm the horses have suitable access to food and water (and if they don’t, it’s provided). 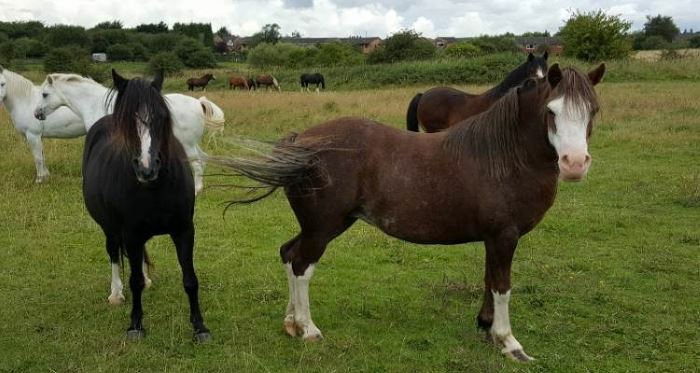 Once the appropriate authorities have been notified, our Peterborough team take care of all communication with the horse’s owners - and if they haven’t been removed by the owners by the time the notice period has ended, arrangements are made to remove them. With the horses ideally housed with a new owner, they are sometimes placed into livery storage, given to a horse charity, sold at public auction or, should no other option be found, destroyed humanely. Whether you’re looking to regain access to commercial property after your tenants have forfeited the lease (but not moved out) or need to recover personal items further to the issuing of a high court enforcement order, our Peterborough bailiffs work tirelessly to recover your assets (or assets to their value) as quickly as is feasibly possible. Do you have commercial tenants still in situ after they have forfeited their lease? Being a popular cathedral city - and one that’s going through extensive regeneration - Peterborough has a strong focus on commercial businesses. Whilst undoubtedly a positive, as areas grow, it can mean more commercial leases being forfeited - and it’s more frequent than most might realise to see tenants not moving on in these instances. Should this happen, our Peterborough team will physically visit the commercial property with a trusted locksmith to gain access to the property and change the locks. Ensuring the site is fully secure, our team of enforcement agents record the entire contents of the site and serve every necessary notice to the prior tenants. As a commercial landlord with tenants who have built up rent arrears, it can be a combination of both frustration and worry. The positive news is law exists that makes it possible to recover any and all arrears. Able to be achieved without needing to make a court appearance - and more importantly, without any costs being incurred by yourself - the process starts with our Peterborough bailiff team serving a Notice of Enforcement. Detailing the next steps that are taken on your behalf, it explains what the tenant needs to do to make sure the process doesn’t escalate. However, should this expire without any form of response, our Peterborough enforcement agents will actively attend the property and take hold of any goods that meet the value of the outstanding arrears, as well as to cover the costs of our recovery services. If you’ve been in a scenario where applying for a County Court Judgement (CCJ) was needed and it has now been granted, it must be actively enforced to have the desired end result. One of the most important points to understand about a CCJ is if it’s to the value of £600 minimum, it can be transferred from the County Court to the High Court. After this takes place, UK law details that a Certified Enforcement Agent - a bailiff - can act on behalf of a High Court Enforcement Officer, giving them the powers to recover any outstanding debts. With our knowledgeable Peterborough team able to take full control in such scenarios, all of the relevant processes to recover any owed debt promptly are followed. Often happening through the sale of the assets of the debtor, the legislation explains that we can recover assets to cover any associated legal and service fees, too. It’s not uncommon for businesses and individuals alike to be owed money. Although small debts are something most feel comfortable with, it’s the larger ones - and the ones where no repayments at all happen - that can cause problems. But should this be the case, our services exist in Peterborough to help you receive assets to cover the outstanding debt. As a business in Peterborough, legislation exists around late payments that effectively stipulates debtors have to pay interest on the monies owed - and most importantly, reimburse any appropriate costs incurred so far. Simply put, our team work around the clock to make sure all repayments are made. By taking a proactive approach to recovering the debt, if no response is received from the official collection notices, our Peterborough enforcement agents will proactively attend the commercial premises in an attempt to recover the debt in person. If at this stage payment is still being refused, the process can be escalated and our trusted solicitors become involved, essentially backing the collection of any relevant assets to a suitable amount related to the debt and any associated costs. Whether it’s on an individual level or a business one, if you’re owed money from an individual that is at least £5,000, or £750 from a company, our Peterborough enforcement agents take careful steps to follow the UK’s Insolvency Act and enforce the payment of any debt within 21 days of a statutory demand being issued. Given bankruptcy and insolvency are both possible, if any relevant debt goes unpaid, we regularly find the official delivery of a statutory demand can be completely sufficient to encourage immediate payment. Working in close partnership with numerous legal and property companies throughout Peterborough, our enforcement team are regularly chosen to deliver full support both during the enforcement of debt recovery, as well as when building a case against an outstanding debtor. Beginning with the attendance at a debtor’s property to understand their situation - and wherever possible, recovering goods to the value of the target amount, so reducing the court attendance and legal costs - our team of trusted agents deliver to your exact needs, whether that’s to communicate with a debtor or to prepare information for a legal case. 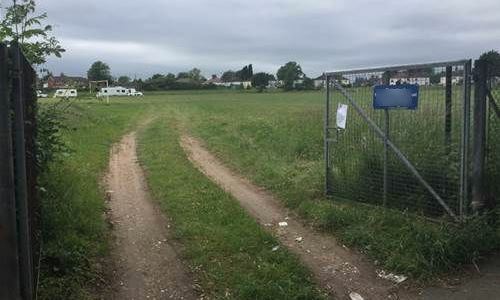 A local car dealership in Peterborough was recently in touch to say they had travellers on part of their land. They had an overflow car park they sometimes used to store cars which had been taken over by the travellers. We recently spoke to a commercial landlord from Peterborough who had been taken advantage of by a tenant once too often. It was two days before Christmas and yet again this tenant defaulted on the agreed payment arrangement. We were instructed to collect commercial rent arrears on a tenant in Nottingham. As required under the CRAR procedure we sent the Notice of Enforcement to the tenant. There was no response from the tenant, and no payment was made.